How your company is visually perceived can act as the deciding factor in the mind of the consumer. It’s in our nature to make presumptions on what we see, hence the phrase “See it to believe it”. It really is that simple, yet so many companies decide to neglect this aspect and fully concentrate on the product or service they are offering. 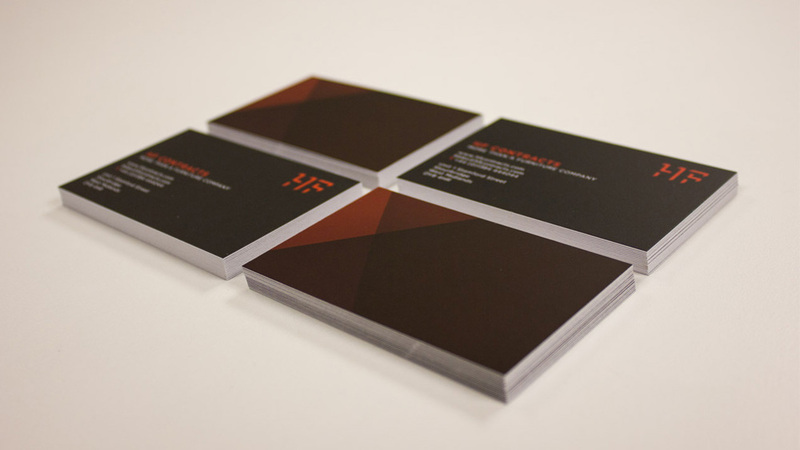 Almost 10 years into our existence, the decision was made to reinvigorate the current HF brand. The process to create a Re-Positioning of a brand is much more complicated than the creation of a logo. You must strip everything back and discover what the company truly stands for. It is only at this point that you can provide an identity that truly expresses the values of the company. The reconsidered brand must then be expanded into every aspect of the company to create a sense of fluidity. The success of a brand is not only determined by what you see, it is expressed through every interaction the company has with the consumer. The combination of these experiences become the decisive factor of the success of a brand. At HF Contracts, we are proud of our ability to offer a solution to any interior dilemma. We are constantly adapting our skills to inevitably broaden our services and achieve the goal of becoming a one stop shop. This diversity had to be conveyed through an identity, yet the quality of what we produce must not be compromised. The solution was to create the HF icon. It may take a few seconds for your eye to adjust to the design. The 3D concept relates back to our core belief in craft, although the use of negative space adds more layers to the design. This relates to our service, delve a little deeper and you will discover a whole lot more. This icon becomes a stamp of approval for HF contracts, used throughout the brand as a distinction of skill and quality. A constant link back to who we are and what we do.